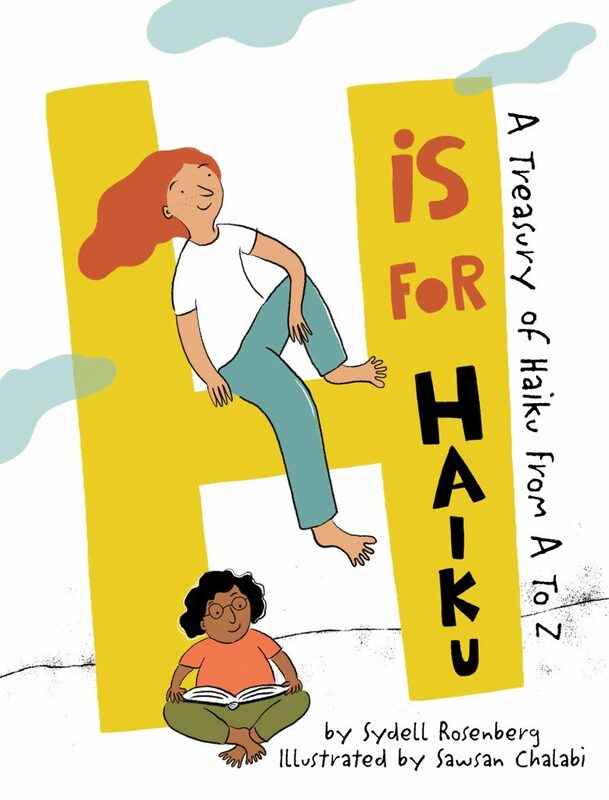 Every April during National Poetry Month, we like to share some poetry books we hope children will enjoy reading, ones that perhaps will pave the path towards a greater appreciation of poetry. 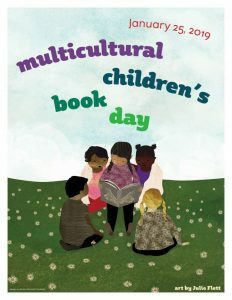 The books don’t have to be in rhyme although our littlest readers do love the sound of cats and bats and rats who wear hats. 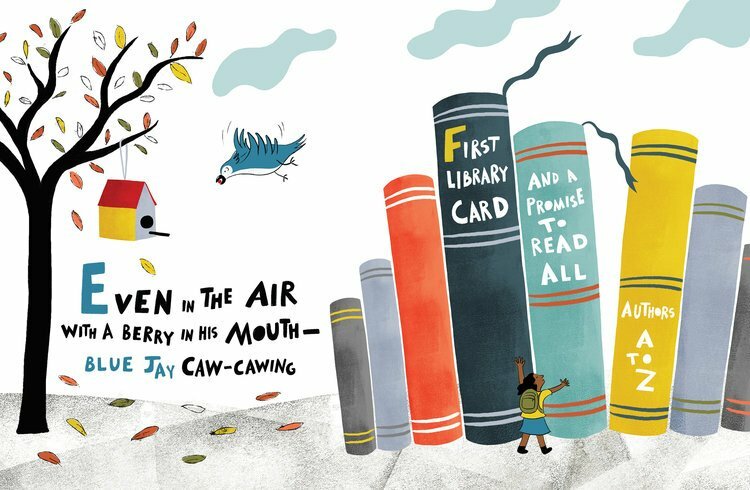 If you’re interested in exposing youngsters to all different kinds of poetry, consider the following picture books and also ask your librarian for suggestions or head to your local independent bookstore today. 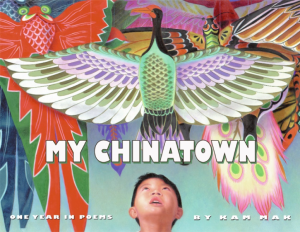 Reading My Chinatown allows to us experience a young boy’s adjustment to New York’s Chinatown after moving there from Hong Kong. 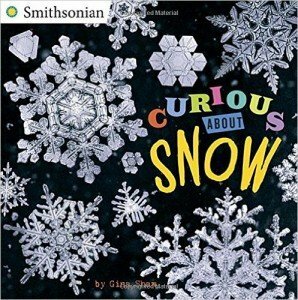 This realistically illustrated (at first I thought photographs filled the book) story is divided into seasons beginning in winter and ending again in winter, a full, activity-filled year later. We see the boy not enjoying his new country’s New Year celebration. Instead, he spends time reflecting on his grandmother’s pickeled kumquats back in Hong Kong. All the while the narrator wonders, “But how can it ever be a good year thousands of miles away from home?” His feelings of detachment are strong. Always thinking of his former home, the young boy resists learning English, wanting to cling to his comfortable past rather than risk moving forward. Being given a board game like the one he had at home marks a turning point in the story. From the calming rhythm of his mother’s sewing machine, to a dragon boat race in Queens, from the familiar sound of mah-jongg tiles “slapping the table”, to making new friends, as the seasons pass, the narrator is starting to feel at home. And, at last, taking part in the following New Year’s festivities, it’s clear that he finally feels that Chinatown is where he belongs. 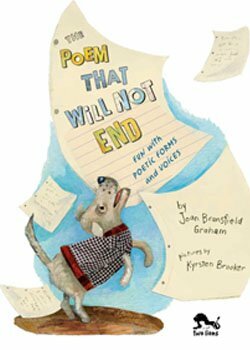 It’s never too early to read poetry to children. 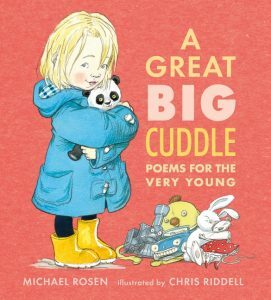 And Rosen, a former UK Children’s Laureate sure knows it! 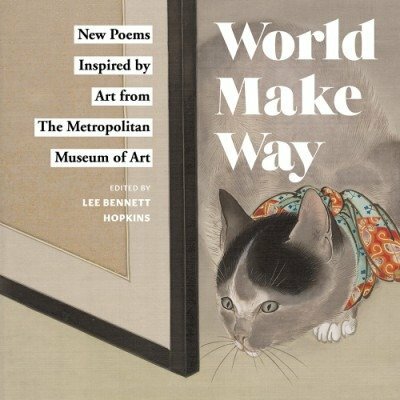 In this accessible and varied collection of over 30 poems, there’s something for everyone including silliness and seriousness, sounds and interactive play. 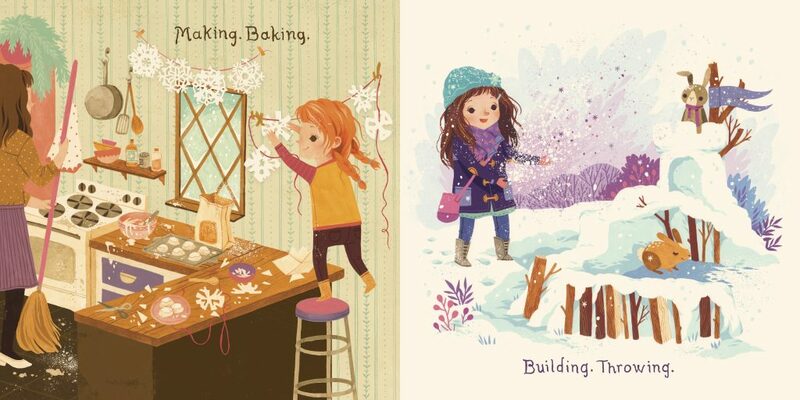 Young children are going to find themselves asking for these fun, often humorous poems to be read over and over again. 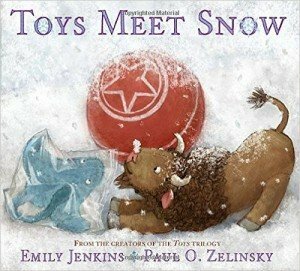 Without even realizing it, kids’ll learn animal sounds, emotions, counting and some clever puns – read I Went to see what I mean – while appreciating the punchy rhymes, fast pace and kid-oriented topics. 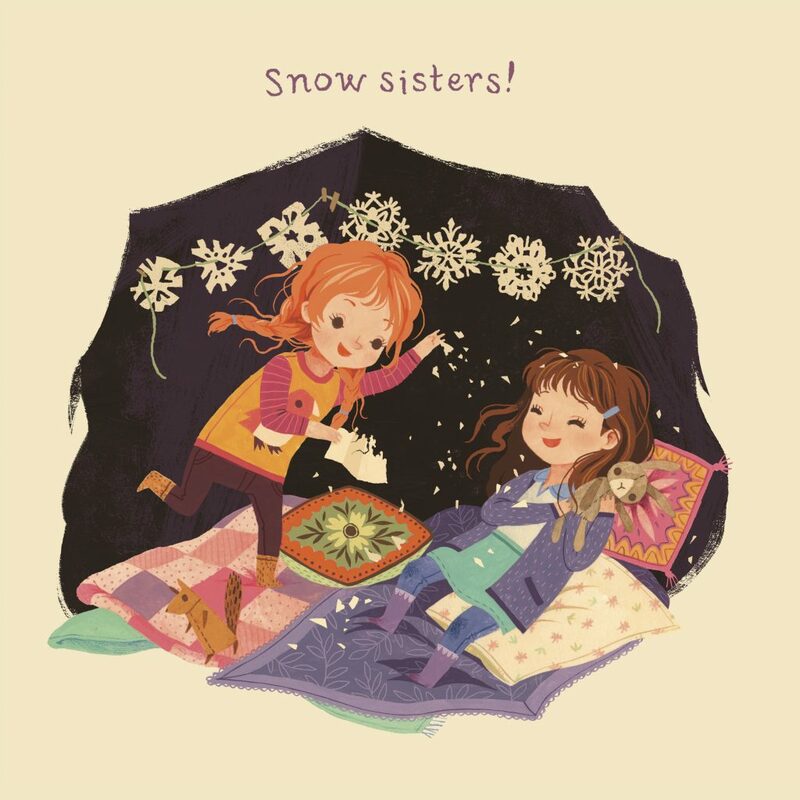 Current UK Children’s Laureate, Riddell, has provided artwork that feels more like the prolific illustrator Shirley Hughes than the Riddell illustrations we’ve seen accompany other children’s books. 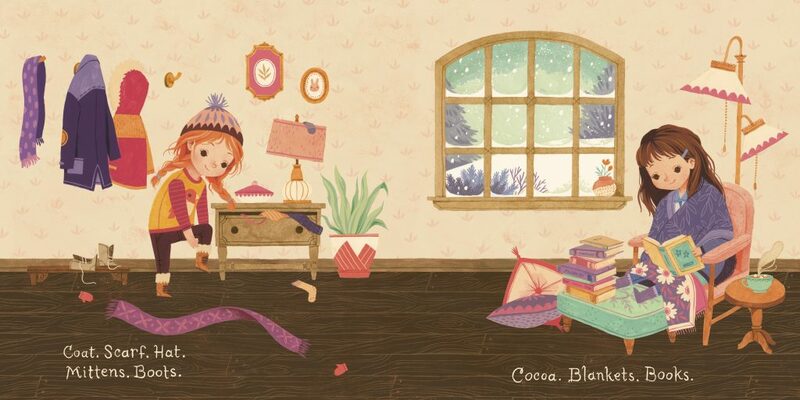 His range and talent are showcased in this collection that begs to be on little ones’ bookshelves. 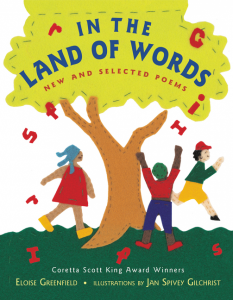 Visit “The Land of Words” with NCTE Excellence in Poetry for Children Award Winner, Eloise Greenfield. 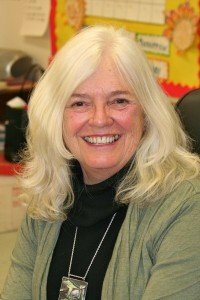 She’ll take you and your children through pages of inspiring poems as her lyrical language rains down on you and waters the soul. With over 20 wonderful poems in the collection, In The Land of Words felt like a mentor’s embrace, a call to action to create and an urging to just soak up every moment.Greenfield was spot on, if you can say that about a poem, in both rhythm and description of the patience involved when fishing in To Catch a Fish. I particularly enjoyed Making Friends about how something as simple as making a silly face can be the start of a friendship. 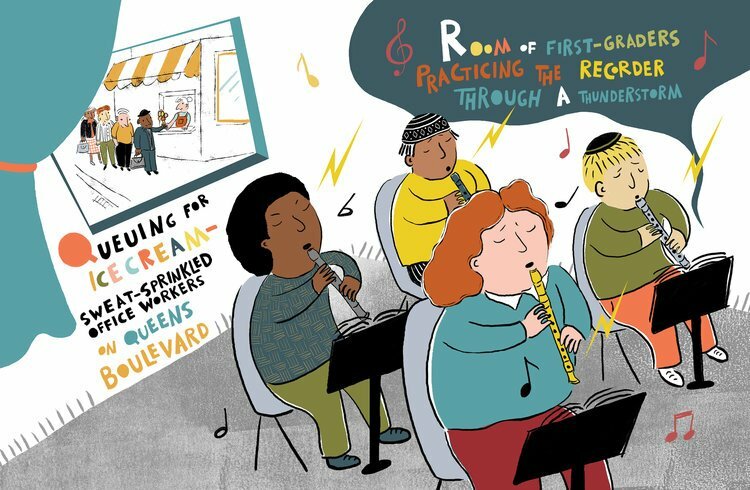 Flowers is a touching tribute to stepparents. This one shares the pride and love a stepfather feels at his stepdaughter’s solo performance. 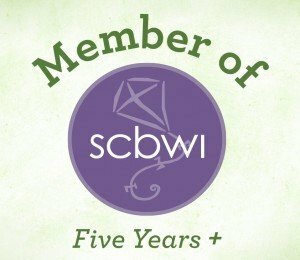 Books, Story, and Poet/Poem will speak to readers and writers everywhere. This line, from books, especially resonated for me, “New faces and new voices, I listen and I see, and people I have never met mean everything to me.” If you love words, don’t miss this collection complemented by Gilchrist’s multi-media artwork that includes felt, embroidery and what looks like markers, making this book all the more satisfying. Overall I found myself quite enchanted by the cleverness from start to finish. Penguin and Pumpkin, (Bloomsbury, $14.99, Ages 0-5) by Salina Yoon, is reviewed by Ronna Mandel. Look at this inviting cover. Don’t you just want to hug the little fella? And his signature scarf, this time in orange, is P R E C I OU S! 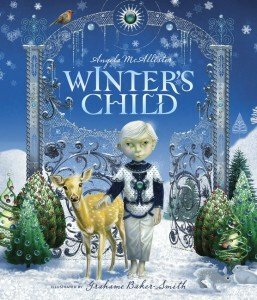 Moving the clocks back an hour, along with cooler evenings here in L.A. means fall has finally arrived, making it the perfect time to share an autumn-themed picture book. Help your kids look out for the sleepy penguin who can’t keep his eyes open during ocean travel. Too cute! Once on land, it’s pumpkins galore for the gang as everyone chooses a favorite to bring home. Penguin, however, can’t stop thinking about his little brother as he sees the wonderful time his friends are having picking out pumpkins. Back home, “The fall explorers were excited to share their treasures from the farm.” But Pumpkin is nowhere to be found. Turns out he was making his own fun, but still really yearned to see fall. With one beautiful surprise gesture orchestrated by his older brother, Pumpkin gets to experience fall in all its colorful glory. The book has a glow about it that feels like Thanksgiving time. 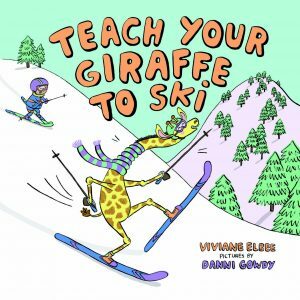 Yoon’s bold illustrations, with their thick black outlines, seem to shout out to youngsters who read her books, “Copy me!” And they do! Yoon gets the most amazing fan art which demonstrates the appeal of her Penguin. 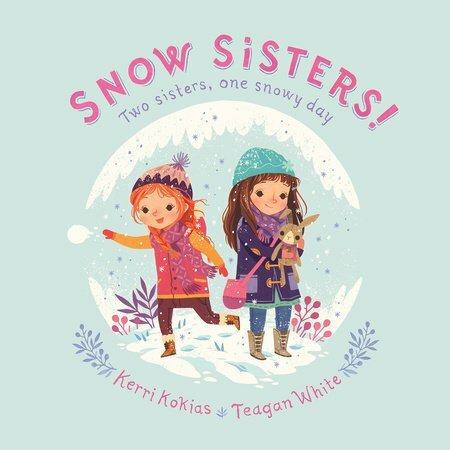 This simple story with its message of love for a special time of year, and for a sibling, will warm hearts and make penguin lovers out of children everywhere. 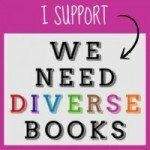 Here are links to other Salina Yoon books we’ve reviewed. 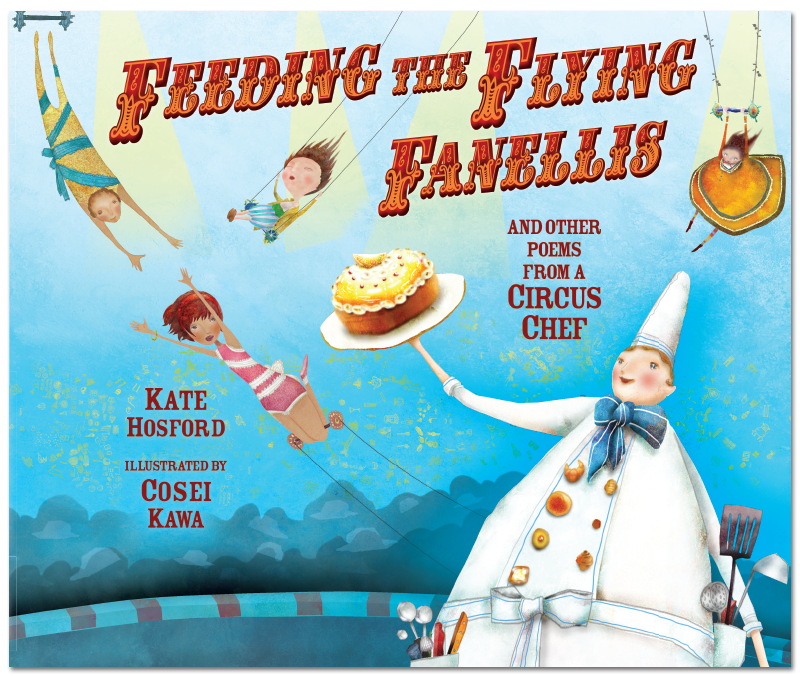 Firefly July: A Year of Very Short Poems Selected by Paul B. Janeczko and illustrated by Melissa Sweet, (Candlewick Press, $16.99, Ages 6-9), is reviewed by Dornel Cerro. 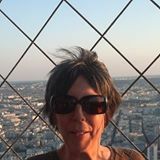 Janeczko, the 2011 CYBIL winner for Requiem: Poems of the Terezin Ghetto, has selected a collection of short poems about the seasons written by well-known children’s and adult poets. 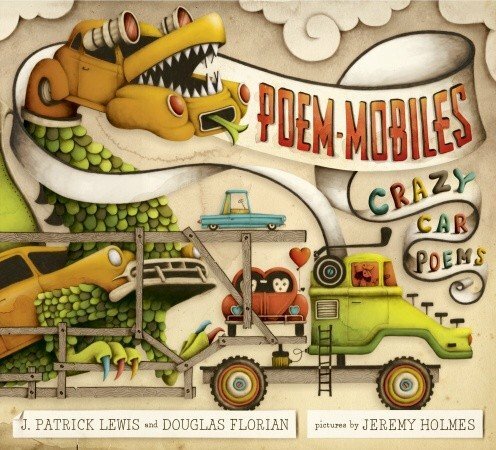 Included here are lesser known poems by Charlotte Zolotow and J. Patrick Lewis (children’s) and Emily Dickinson and Richard Wright (adult). 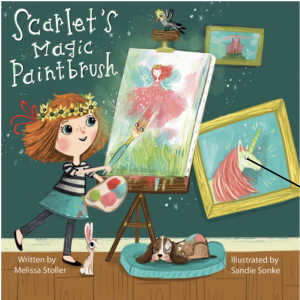 Each wonderfully illustrates the point that poets are artists who paint with words and only needs a few carefully chosen words to convey powerful images. 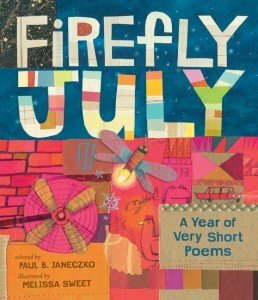 Firefly July: A Year of Very Short Poems selected by Paul B. Janeczko with illustrations by Melissa Sweet, Candlewick Press, 2014. Sun’s a roaring dandelion, hour by hour. Sometimes the moon’s a scythe, sometimes a silver flower. 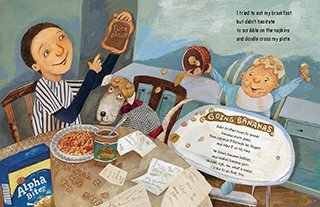 Illustrator Melissa Sweet received a Caldecott honor for River of Words: The Story of William Carlos Williams. 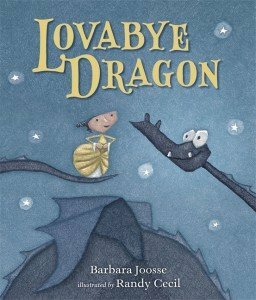 Her full page, mixed media illustrations (water color, gouache, and collage) are uplifting and enhance the poem without overshadowing it. 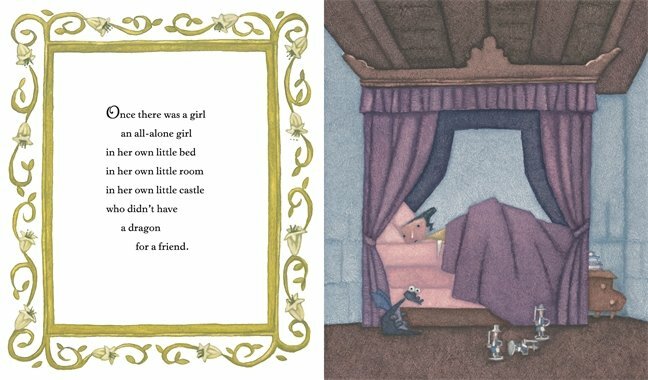 My students admired Sweet’s illustrations for the interesting details she added that are not necessarily a part of the poem, but are reasonable inclusions. In the illustration for “Water Lily” a frog’s eyes peer out of the pond, following a nearby fly (p. 10). 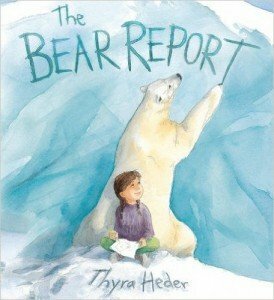 The publisher recommends this for ages 6-9, but I read it to older students to demonstrate poetry techniques such as metaphors, word choice, etc. 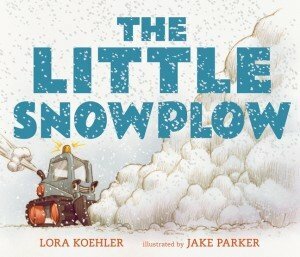 My 4th/5th grade class found the word choice so vivid that the readings evoked personal memories or made them feel like they were in the poem. This breath-taking collection has deservedly received starred reviews Horn Book, Kirkus, Booklist, and School Library Journal and is highly recommended for all libraries (public, school, and home! ).